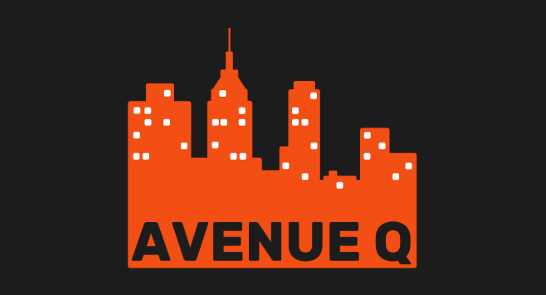 This January Shotgun Theatre, the award-winning musical theatre company from the University of Exeter, are proud to present their production of the laugh out loud musical, Avenue Q. With performances in the Exeter Phoenix from 18th to 21st of January, the show follows the story of Princeton, a recent college graduate who suddenly finds himself thrown into the real world and renting an apartment on Avenue Q, New York. Dubbed as Sesame Street for grownups, this musical is both funny and crude with realistic undertones, tackling issues such as relationships, sexuality and homelessness. Shotgun Theatre is one of three musical theatre societies at the University of Exeter and focusses on producing quirky, off-the-wall productions in a fun and friendly environment. Their previous shows include RENT, The Witches of Eastwick and I Love You, You're Perfect, Now Change. In 2014 their production of Spring Awakening won the Cameron Macintosh award for Best Musical at the National Student Drama Festival. As part of their production of Avenue Q, the cast and crew will be collecting money for Community Housing Aid, a local charity which has been offering housing advice and support across Devon since 1990. Homelessness is one the key issues explored within the show with one of the characters who lives on Avenue Q finding himself without a place to live. The cast and crew are excited to support a local charity within the city that has such a strong track record of supporting local people. If you want to join Shotgun Theatre as they find out what the internet’s good for, how everyone deep down is actually a little bit racist and why adopting a ‘for now’ attitude may be the best way to get us all through life, then tickets are available from £10 on the Exeter Phoenix website. Please be aware that this production does contain themes and issues that could prove unsuitable for a younger viewing audience.